New shipment just arrived – stocks are limited so get your order in quickly! 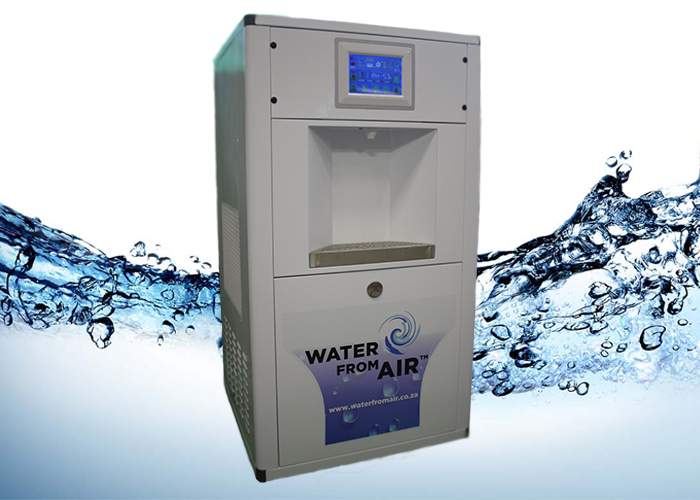 The WFA6 is essentially a purification plant that is a plug and play. The machine draws water vapour straight from the source (the air) and converts this into water. This water then passes through a sediment filter, carbon filters, TCR filter and reverse osmosis. It is also sterilised thoroughly through 3 UV lights, removing pathogens, algae and bacteria.